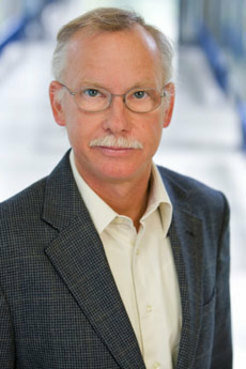 Franz-Ulrich Hartl is director at the Max Planck Institute of Biochemistry in Martinsried, close to Munich. Were you surprised to find that protein deposits in cells can also be beneficial? Franz-Ulrich Hartl: Yes, very surprised, although there was already some evidence in the literature to indicate that they are not universally damaging. The type of aggregate determines its forms and properties. Scientists originally assumed that neurodegenerative disorders, such as Alzheimer’s, Parkinson’s and Huntington’s were triggered by large, insoluble protein aggregates, identified as deposits in the cells. When the brains of people who had died in old age were examined, significant protein deposits were frequently found even though no signs of dementia were apparent. Which protein deposits are harmful? Franz-Ulrich Hartl: In the last five years, it has become increasingly clear that large deposits in the brain are not fundamentally toxic. Instead, the problem lies with the smaller deposits, known as oligomers. If the cells do not succeed in preventing protein aggregates from forming in the first place – and that seems to actually be the case in old age – another mechanism clearly takes effect: the small deposits combine to form larger, insoluble aggregates and are stored at certain locations in the cell. This could be compared to a landfill site. In this way, the material that otherwise would be lying around everywhere is collected and to some extent is rendered harmless. To better understand this process you studied nematode worms, animals with both a short and long life span. What did this comparison show? Franz-Ulrich Hartl: The Caenorhabditis elegans nematode worm is a very suitable model organism to study the ageing process. A multicellular organism, the structures of its organs are very clearly defined with a nerve, muscle and intestinal system. These hermaphrodite animals age very rapidly after they deposit their eggs. As they lead short lives, scientists can track them over several generations. It is also easy to experiment genetically with them. We recorded more than 5,000 proteins in short- and long-lived animals at several stages during the ageing process. The experiments showed that the long-lived animals – they lived for an average of around 30 days – collected significant quantities of protein aggregates in an insoluble form. Fewer aggregates were found in the control worms. Did the protein deposits differ in terms of composition? Franz-Ulrich Hartl: Yes. The protein aggregates in long-lived animals were particularly chaperone-rich. Chaperones normally help cells to fold proteins correctly so that they do not form clumps. They also help cells to break down incorrectly folded proteins. We now assume that the chaperones also “seal” the landfill deposits that have already formed by attaching themselves to the active surface of the protein aggregates. If this is the case, we need to test the assumption again. Then the toxic processes, which take place on the surface of large protein deposits, could at least be minimized. What mechanism is involved here? Franz-Ulrich Hartl: That isn’t quite clear yet. It is probable, however, that a particular class of chaperones plays a role in this: these are known as small heat shock proteins (sHSP). This name is confusing. In fact, these proteins actually form larger structures, which are able to bind several incorrectly folded protein molecules simultaneously. Up until now, researchers always assumed that the function of these small heat shock proteins was to prevent aggregation. But the literature also suggested that under certain conditions they could also instigate and even promote aggregation. As we found other small heat shock proteins in the aggregates of long-lived worms that were different to those in the short-lived organisms, we assume that the properties and specificities of these heat shock proteins could have something to do with this phenomenon. How would you clarify this mechanism? Franz-Ulrich Hartl: With a biochemical approach, among other things. In the next step, we want to produce extracts from the long-lived worms and add these to the extracts of short-lived or normal worms. It will be interesting to see whether we can prompt an intensified formation of aggregates in the test tube. Should this be the case, we could isolate and identify the substance from these extracts. As we suspect that this has something to do with the small heat shock proteins, we will of course take a particularly close look at them. In your lab, you carry out research on chemical substances, which in the future could be suitable as medication to treat Alzheimer’s, Parkinson’s and Huntington’s disease. Could the dissolution of the protein aggregates prove to be counterproductive – or even dangerous? Franz-Ulrich Hartl: The molecular chaperones could be used to prevent the formation of toxic aggregates or to slow down their formation. We are less concerned with dissolving large aggregates that have already formed. In fact, we would have to be very careful. Otherwise, there is a danger that toxic forms could be generated again. It is also possible that a process could be activated that would consolidate the oligomers even more in larger aggregates. Should a medical therapy be found in the future, treatment would have to begin at an early stage as the cellular protective mechanisms weaken increasingly as the body ages. To what extent are your findings about the ageing of worms even applicable to mammals and humans? Franz-Ulrich Hartl: Humans – like most mammals – do not age abruptly after their reproductive stage. The processes described here probably occur also in humans, but in a slower and more moderate form. The genetic properties, which need to be changed in worms in order to generate long-lived animals, also lead to a longer lifespan in mice. One class of chaperones is particularly active in the human brain in old age: these small heat shock proteins. Thank you very much for speaking to us today Mr Hartl!